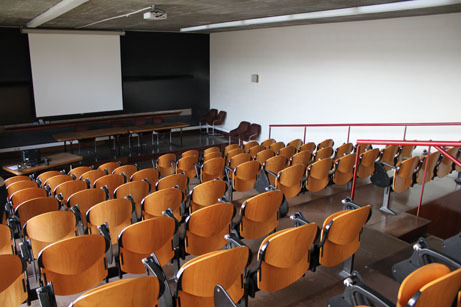 Rental of space for conferences, seminars, training and other events. FEP boasts a highly qualified and experienced faculty whose specializations encompass all areas of Economics, Finance and Management, as well as the related domains of Data Analysis, Information Systems, Sociology and Law. 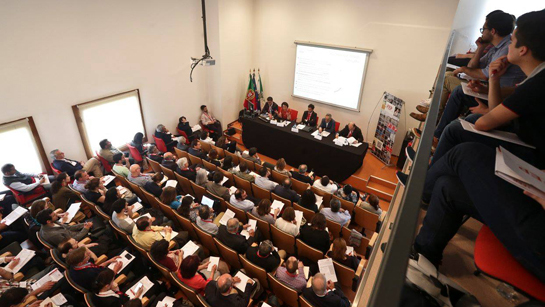 This wealth of experience and knowledge allows us to build bespoke, multidisciplinary teams of professors and researchers, including those from other schools and research institutes of the University of Porto if necessary, to conduct research and provide specialized consultancy services in the various domains of Economics, Finance and Management. Career Portal provides a direct link between FEP students/graduates and employers, allowing prospective employers to search and consult the CVs of candidates, search the courses/profiles of FEP candidates, post job opportunities and information relevant to Economics/Management students or graduates and provides an area where those interested can submit spontaneous applications. Any public or private sector organization can access the Job Listings, regardless of their size, legal status or sector of activity. More information at FEP – Career Portal. FEP has spaces for academic, scientific, corporate and cultural events and also provides support in choosing the appropriate space, event production and event organization (logistics and multimedia support). Beyond renting spaces, the following services are also available: Wi-Fi network, parking lot, reception and support service (provided by students) and coffee-break and catering areas. A stately room with a ceiling height of 10 metres and capacity for 434 people. It is characterized by a copper panel that, besides being a work of art, serves an acoustic function. 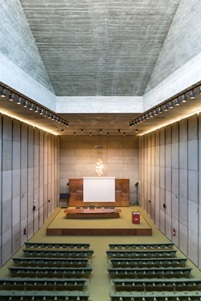 The Sala dos 70 Metros (the 70 Metre Room) of the School of Economics and Management of the University of Porto is composed of 3 different rooms (241, 262 and 263) that, when connected, allow 250 people to take an exam simultaneously. 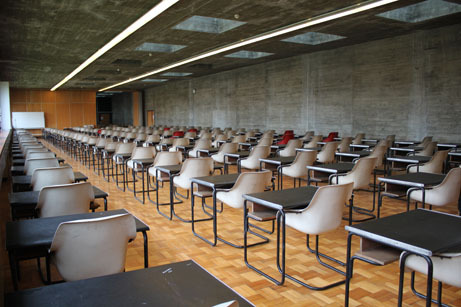 This room has all the necessary conditions for administering academic, recruitment and professional bar examinations.